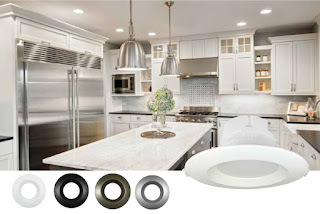 The new LED Downlight Presto series will change how you install recessed lighting! This unit is equipped with an integrated junction box and is so versatile it will fit seamlessly in all of your applications. *Sold separately in a variety of colours such as white, black, silver and bronze.